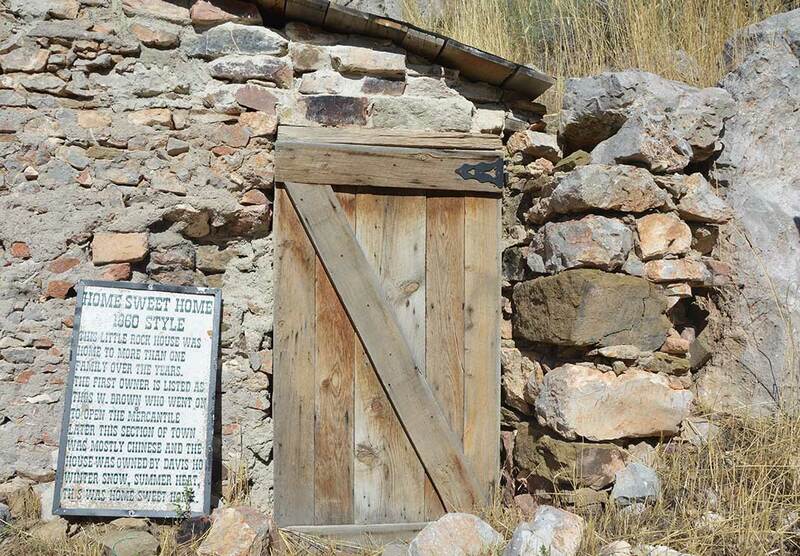 For a real look at the West as it once was, “Nevada’s liveliest ghost town” is your best bet. Pioche is a small, picturesque town clinging to the side of a mountain in, Nevada’s high desert, roughly 180 miles northeast of Las Vegas. The friendly, inviting atmosphere enjoyed there today stands in stark contrast to its old reputation as the roughest, toughest mining town in the Old West. 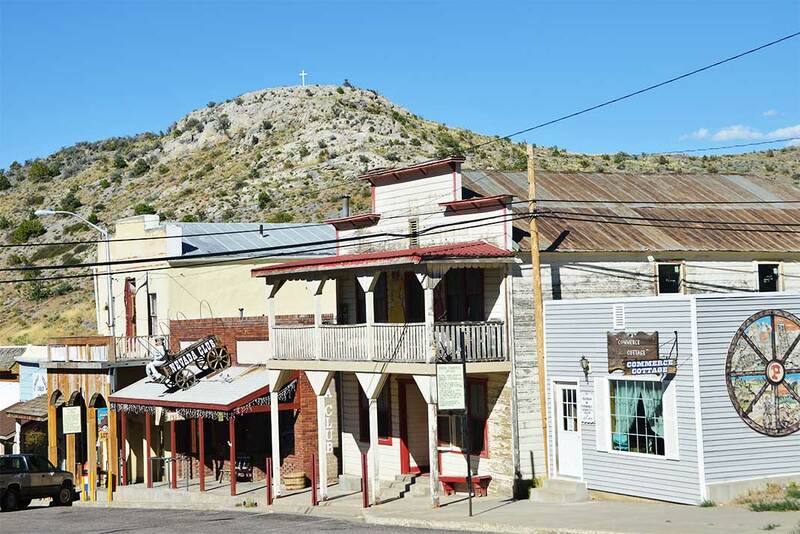 In the early 1870s, a silver boom catapulted Pioche into becoming one of the largest mining towns in the area. And while today’s quiet, law-abiding citizens make it difficult to imagine, gunslinging was at one time a favorite pastime in Pioche, which is how the town earned its notorious reputation. Interestingly, an astonishing 72 people were laid to rest before someone actually died of natural causes, that’s the level of Wild West we’re talking about. To put it into perspective, Tombstone [what some may percieve as an iconically wild town] only had a few murders each year, while Pioche had dozens. Old by Western standards, many of the buildings standing today hark from the turn of the 19th century. The Lincoln County seat is home to the Thompson’s Opera House built in 1873, the Mountain View Hotel from 1895, an 1912-era school building and the famous “Million Dollar Courthouse,” which was originally bid at just $26,400 and ended up costing $1 million. 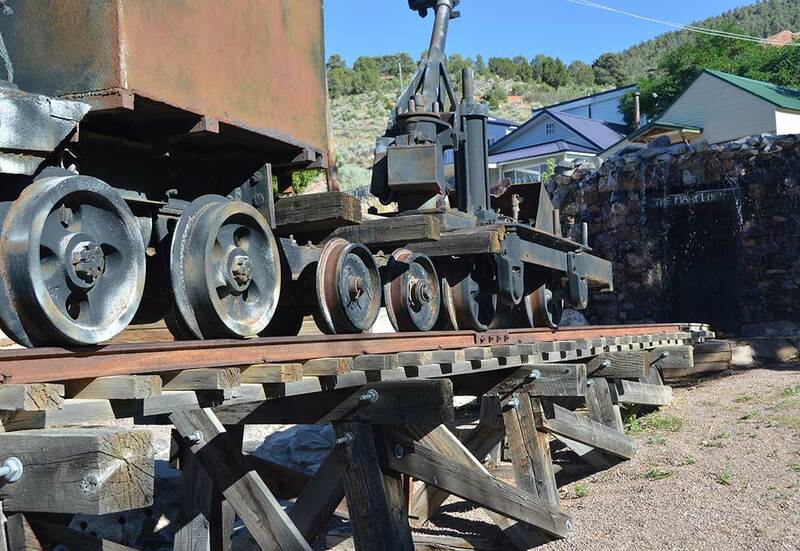 Today, the pricey relic is home to the Lincoln County Historical Museum and bursting with additional artifacts, including one of the original train engines used to haul ore from the old Jack Rabbit Mine. There’s also the old Boot Hill cemetery, with its fascinating “Murderers’ Row.” Set apart from the rest of the graves, the area contains a number of unmarked graves said to belong to over 100 of the town’s early murderers. But there’s far more to Pioche than just old buildings and gravestones. The town is home to an enjoyable nine-hole golf course, and it also maintains a few annual events. The annual Pioche Mardi Gras has all three local bars offering live music and authentic Cajun cuisine. Locals and visitors alike will find great hunting and trout fishing in the landscape around town, plus easy access to some of the most scenic state parks in, Nevada. Just 12 miles southeast is Echo Canyon State Park, and Spring Valley State Park sits roughly 18 miles away. Another great getaway is the Silver State Trail, a 260-mile OHV route with three trailheads. Map our your adventure today!